When was the Sefer Nizzahon Yashan written? When was the Sefer Nizzahon Yashan written? And this question leads me to another one: Does anyone know of any mention in Rishonim or acharonim about it (or about its author)? The Sefer Nizzahon Yashan is an anonymous polemical work compiled in the second half of the thirteenth century (?) which is similar in many aspects to Sefer Yosef haMekanne, the Shevet Yehudah and the Vikuach HaRamban. This question occurred to me because in other registered disputes (e.g. in Disputation in Paris and Barcelona) seems to me have no mention of it. According to Wikipedia: Sefer Nizzahon Yashan (ספר ניצחון) "The (old) Book of Victory" is an anonymous 13th Century Jewish apologetic text originating in Germany. The name "old" (Hebrew yashan, Latin vetus) is attached to distinguish the work from Yom-Tov Lipmann-Muhlhausen of Prague's work of the same name, Sefer Nizzahon, written between 1401-1405. It is mentioned by Rabbi Yosef Lieberman in Moriah as originating in the time of Rabbi Asher ben Yechiel (13th-14th century). It is also mentioned by Rabbi Yechezkel Solomon in Ohr Yisrael . He does not mention its authorship. According to the listing from Wikipedia, it was written in the 13th century. It's author is unknown. The claim is that based on style of language, it probably originated in Germany. From the time frame, it sounds like it followed on the heels of the notorious 'Disputation of Paris' which took place about the same time. There was a lot of communication between the Jewish communities of Paris and Wurms. Students studied in both locations at that time. The consequence of the disputation was the burning of 24 wagonloads of handwritten Talmuds. The content is strongly anti-Christian and appears to be based exclusively on the Tanach. This detail would be relevant in the context of the dispute of Paris that focused only on the Talmud because Christianity viewed Tanach as essential to their theology. A critical edition translated into English can be found at Amazon. This would likely be the best place to search for any references among late Rishonim or Acharonim. Not the answer you're looking for? Browse other questions tagged jewish-books christianity books-generally authorship . 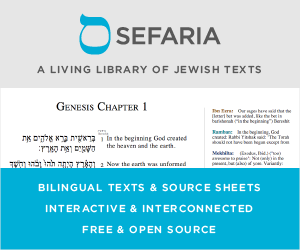 When and What was the first Hebrew Sefer published? Sefer Torah Lishma **not** from the Ben Ish Hai? Is the sefer Toldos Yeshu accepted in the yeshiva circles? Why was Megillas Taanis written? Was the sefer Ein Yehosef ever reprinted?